On an interesting note, Bigg Boss 10 is going to witness a double elimination tadka this weekend. On a shocking note, Karan Mehra has got eliminated while Lokesh Kumari Sharma will be evicted on Sunday. 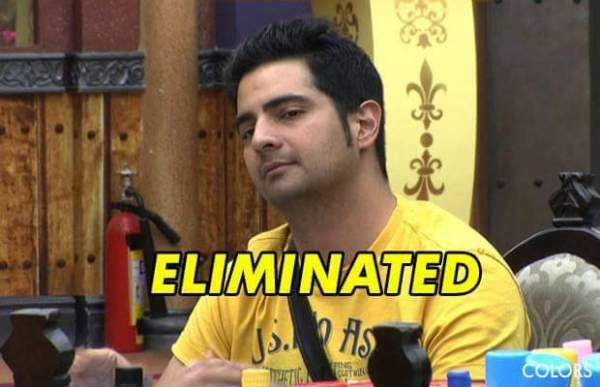 According to initial reports, Actor Karan Mehra has been eliminated from the house. One of the main reason behind this elimination was his inactivity during the recent week. In the task given last week, everyone has to follow some rules of the land. Celebrities, as well as locals, are not allowed to use any type of luxury in the house. Karan stays low with the other contestants. Initially, he has a big role in the show when spotted getting the other contestants consoled for many things but slowly and gradually he started sparing himself off from the general activities. According to the latest update from Mumbai, Lokesh had been eliminated from the show. This had done to maintain a balance between locals and celebrities. She had been eliminated on the basis of votes. Initially, Karan, Rahul, Lokesh, and Mona are in the danger zone. The table turns round thereof, and it was expected that Karan would be in the safe zone, but later it was revealed that almost every contestant had voted against him. Being news gatherer of the week, Rohan and Manveer Gujar stays in the safe zone despite having deadly fights this week. It looks Bigg Boss once again focusing on keeping the contestants who help in TRP. From the initial reports, its suggested that Lokesh Kumari Sharma is safe in Bigg Boss 10. She is not in trouble, but final screening is still left. Earlier it was expected that Karan would be the one who is in the safe zone, but it proved opposite later on. When Karan was eliminated almost every other contestant in the house was literally going against him. Being low on the support he lost the battle. Confirmed: The other name will be decided on the basis of audience poll. As things are not going correctly in favor of Bigg Boss 10 TRP ratings, BB decided to delay the process. This week, Naagin series had crossed the trade ratings of Bigg Boss which is obviously a danger news for the show. Bigg Boss 10 is usually considered as the most watched show in India but this time it’s not happening. The good news is for Colors TV whose two shows are up on every scale when it comes to Indian Cinema. Karan ko ek chance do plz…..
Tu apni tel laga kar rakhna. Karan ke eviction ke baad usse tere ghar bhej denge. Phir jitna marzi utna chance dena. mujhe tuje chance dena .kab marega meri..aaja sabr nai hota abhi….ghode lete hue aa..
please bigg boss .karan mehra Ko ekk chance dedijiye pleaseeee???? Bigg boss is not the same which is a shame mona should be out she,s the worse one giving women a BAD NAME an Lopamudra be ok no a model she has no manners and her language is outrageous……. Mona Lisa must be eliminated from the house. Lopamudra and Lokesh must be punished adequately for not following the captain’s instruction. In fact Salman must say directly to them that they are off track n their behaviour is an instigated one by Manu n Manveer ( they have criticised both Lokesh and Lopamudra badly behind their backs) Manu pointed hardly 100 viewers watching big boss 10.. That’s an insult! I fully agree. The way Mona is behaving is disgusting. She is doing all this to gain cheap popularity. Mona will be a good contestant only if she stays away from the company of mannu. This goes for manveer as well. Mannu is the master mind of them. He just shouts and shows that what type of personality he has!!!!!? Thats true..commoners are looked down upon ? Good decision.He is too boring. Mona Lisa should be eliminated. She is very annoying. Please take her out of the home. Aapne mere muh ku baat chhin Li. Wah..Wah..
Karan sachi may wo botal hai. Jo Kabhi khulta he nhi hai. Kick him out I’m soooooooo happy with this decision. Right decision..Karan is soo boring..
Bete ki itni yad aa rhi hai to ghr jao.. I STRONGLY BELEVE THAT NAKLI SADU A CRIMINAL MUST BE ELIMINATED. why camera is focussed all the time on Many,Manveer & Mona. I am fedup seeing these 3 idiots + stupid Lokesh all the time. They are all very camera conscious. They do all kind of nonsense just to get noticed. anita, you dont like common people and you are alos a common man. that means you are idiotsone of them. Shyam, U r a commoner without common sense. People would rather spend time n money to watch celebrity than u.
U r a idiot2 understand this. Manveer and Manu hi big boss-10 ki jaan hai, shaan hai. This 2fellow is stupid person. Rahul,karan n garab they r descent person.they r civilized people n manvir n manu look uncivilized n mona c also look very stupid showing her stupid activity. Mannu n manveer entertain us ?? I watch the show only for Salman khan,,,n 2ndly becoz of celebrities as they all r my favourite,especially Gourav,Rahul,Karan,Bani n all..m actually least interested in watching manu manveer n dat idiot mona lisa,,she is being used by commoners m such a dumbo she is.She never uses her own brain,,i guess she is scared of spending her precious brain??? Bb vani is so loud n annoying. She governs all celebs. Bb entertainment k liye hai na ki celebs ka decent behavior dekhne k liye. Manu manveer show ki jaan h. Om ji ko himalaya bhej do. Unko to logo k beech rehna hi nhi chahiye. Lopa sare task ache se karti h. Rahul ko nikalo. Manveer, Manu and Monalisa should be kicked out from Big Boss for their junglee behaviour, disrespect and obscene talks. It is high time BIg Boss brings some cultured people inside the house. NO wonder the TRP is dropping down. Nobody wants to see old hag Monalisa and Bullies Manveer and Manu. rahul and karan are hopeless and big boss supported only celebraties.kick them out.big boss not getting 30 minutes episode if m3 not in bb. Banni apni chalarehi hai. And also her behavior is very irritating as she showing. Usko nikalo. Is seasons BB 10 agar chalega to sirf Monu Or Manveer k bajas se. They both are entertaing in comedy as well as task action. Lokesh also having same. So finally I would like to say that this year India Wale really entertaing the bigboss 10 house. So please don’t eliminate any India wale. Bas kuch hi bache hain. Otherwise aam public ki koyi value nehi rehigi celebrity k samne. Come-on BigBoss this year aam public k naam. it’s a good decision to kick out boring celebs , please bigboss throw out both karan n rahul. Fully agree with you. Manu & Manveer both ate so cheap & uncultured. They should be out. Big boss show is fun watching only due to Manu punjabi!! Manu my name mate!! We don’t want commeners at all. Kick all the commeners out. After all we want to see celebrities how they behave in the house, their true colours will come out. What is there in commeners, even we are commeners, so what we do they will be doing the same thing. We are interested in celebrities, becuase in public they show something, so in the house we will able to see their true character without their make-ups. Without make-up all are so ugly. I want to say, VJ Bani is the correct person to win this show. And also I’m very disturb to see Manu’s behavior. Manu always misbehave with other’s specially Om Jee. Specially 3 M are sent very wrong massage to all viewer of all country. Rahul deb aur kadam ko event karo.koi mtlv nhi Nike rahne ya n rahne se. I agree with you 100%. If the creative heads have to decide everything then why go through this facade of giving everybody a fair chance. If only the raising of the TRP is their reason then I will stop watching this show. Swami Om was voted out by the viewers. The creative heads thought he should be in the show n he is still there. That man is speaking very vulgarly about girls. Still he is never stopped by Bigg boss. Us that the real face of Bigg boss now? I am very disappointed and will stop watching the show now. In the daily household wot karan was dedicated enough. A bit weak at task still better than many like swami om and Mona. In Jio live I could see clearly Karan’s words were muted often. Ofcourse he didn’t create any nuisances over the show but some good works like picking up dirty tissues of nitibha and arranging the stuffs.. Making puris etc. which could have been part of 9-10 slot. Strangely aggression and nuisance seems dominating the show. Even in the clipping shown by Salman where Rahul, Rohan and Karan were shown on bed for long… It was clearly visible that karan was on bed for very less time but more in organising his bed and stuff. Had there been little appreciation for his good deeds things would have taken good turn. Becozz she is.. Try herself to come out.. So i guess she should not be out of the house..
Big irritants…1)Monalisha d obese:2)lopa the annoying ,fake n a big head ache wd her chirping voice;double standard,disloyal,wt more….3swami om…d indecent creature evr on earth….4)lokesh…..smarty but conniving …self obsessed …..nly thinks 4 herself….not loyal 2 single inmates in the house….5)d last Manu ,Manvir….two poison spell in d house….full of negativity 4 d celebrity….d way they pronounce d word celebs s “sealeabss”itself defines so neg vibes 4 others…trying to rule over using “divide n rule policy’in d house…n d stupid Lopa n Mona….got trapped…..these two r nt loyal 4 anyone….time will show thr real face…these two craps discuss such cheap remarks 4 lopa n evn Mona…in their back…..ohhh godd…season 10 ykkkkk …what format u come up wd…..plz kick out these nonsense ppls….out…..this season has so low standards people…..commoners r not so……they r trying to b on d show by being so unreal…..
Like to see big boss 10 continuation wd some wild wild card entries……..wish bb10 will turn out to b intresting…. I agree with you. This season has included people who are fake and desperate for fame. Wish the show becomes more entertaining and not cheap. I agree. My only objection is that Swami Om who is the most aggravating man in this universe was saved n brought back by the Bigg boss creative team once he was voted out. Why??? Monalisa should have been evicted every poll has her with least votes!!! Actually karan,rahul n gorab r very polite n civilised nt like th 2 idiots n stupid manu n manvir they look uncivilized n try to show off n mona omg what a stupid girl don’t look celebrity no brain.lopa o ho…sound pollution…no beauty n no brain ms india. I do agree that the celebrities are staying dormant without participating actively in the activities and the TRPs are falling to some extent because of that. Karan and Rahul Dev are silent but pretty decent. Not suitable for big boss. So Karan’s eviction is fair in a way. Regarding the rest of the “gharwale”, they do try and participate a bit more. I only wish Lopamudra Raut and Lokesh Kumari use a bit of their commonsense and realize that Manoj and Manveer make fun of them in their absence. Also, I am a commoner too, but personally I don’t like the way these so called representatives of “Indiawale” are behaving. Making fun of others behind their backs, unnecessary plotting and fighting, not taking the game in its own spirit (especially Mona Lisa who is really acting like a child always fighting unnecessarily even during that rasgulla task during lockdown). Commoners are not like these people inside the house. I hope they show a bit of decency than these cheap antics to gain attention and popularity. Because of these only my family stopped watching BB10. Bani should win…nanu is shakuli of mahabharat..n manveer is his servent….n Mona…..don’t know big boss is waiting for whom to eliminate her. big boss manu or manvir ke bis touch karba ye tab dekhenge kon kiska kia he …..
Actually manu panjabi is a great jabra. He is thinking that he is the most intelligent nd can make the public fool. He is very much camera consious. Send Rahul out also with karan they are doing nothing in the house . rohan is a bad captain till…bcz he is not fare to all…he is only support ing clebs….he cannot took own decisions…..what bani says…he do support always …..
guys aap jis commoners ko dekh rhe h wo kahan se commoner lag rhe h……they are insulted of commoner…..commoner kabhi aise behave nhi krte jaise ye log kr rhe h ……. Yes bb is totally fake…………..u shld bring Karan back he received d highest votes……..
First of all please remove OM because he is a criminal and if Big boss pattern is putting criminal inside then they should put Saddam or all other terrorist together. Then kindly remove Lokesh as she does not understand anything about the game even the tasks. Then please remove manveer as he is so irritating and his language actually proves that he is a big GAVAR. Then please put some good task in the show/////As it seems to boring to watch them all the time sitting and talking////Must say this time big boss 10 is the most boring show. It should be closed or shut down. If that’s the case. Popularity k liye itna girna acha nahi hai.. This season of Bb is too boring to watch. Monalisa, lokesh n baba should get evicted. In place of them please bring some new wild card entries and give them some fun tasks. Its 2 boring to watch dm sittng , joking n gossiping al d time. Big boss 10 is a boring show. This shows control by Salman khan,even if spoiled the culture of India,he always takes stand on Mona,Lopa,always making fun of Swami Omm hi.its not fare. OHO ?!!! CHALO THIK HUA AB MONA KO NIKALDIJIYE BB PLZZZZZ KUCH KAAM KI NHI H BICHARE MANU,MANVIR KO BANDH RAKHA H????? ?